The Kalari Kingston 56+16 Rucksack is the go-to travel pack set for globetrotting adventures. This set includes the largest and smallest models in the Kalari/Kingston series–a travel and trekking pack and a day pack that can also be used as a carry-on bag–plus a handy pack bag that doubles as a reusable rubbish bag when you're out on the trail. 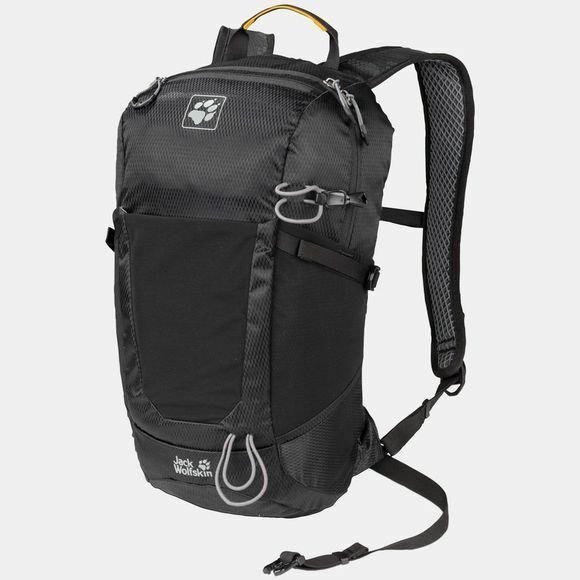 The Kalari Kingston 56+16 Rucksack are lightweight, multifunctional packs with a sporty design and are made of recycled materials. 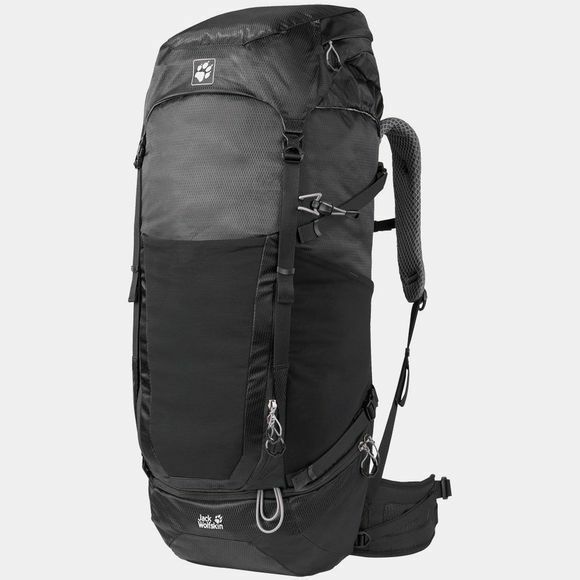 The packs are designed for short trekking trips and long-haul travel. They are incredibly versatile, very robust and extremely well ventilated. The flexible ACS Tight back system also ensures good freedom of movement. And because the pack sits very close to your body, you retain full control of the load. The central air channel at the back and the perforated, air permeable back padding, shoulder straps and waist belt help to keep you cool. The two packs can be docked and carried together. Simply attach the hooks on the day pack to the loops on the shoulder straps of the Kalari and carry the travel pack on your back and the day pack on your front. Carrying the two packs in this way means the load is evenly distributed and you can keep an eye on any valuables you've stowed in the day pack. This product series will appeal to the user looking for a dynamic and flexible, town-to-trail travel pack solution for round-the-world trips or everyday use. The set also comes with a Re Wasty rubbish bag, so if you find yourself out in the back country, you can take your rubbish home with you and leave the outdoors as you found it. It is estimated that a banana skin takes 10 years to biodegrade in the mountains. This portable and reusable rubbish bag for wilderness hiking and trekking trips is a 100% recycled product–from the bag itself to the buckle.